Jet Black over Black leather with Navigation, Rear view camera, HiFi sound, HD radio, Apple Play compatible, USB ports, Bluetooth with streaming audio, Sport leather steering wheel with paddle shift, 8 Speed Sport automatic transmission, Heated Sport seats, Park distance control, Auto climate control, Panoramic moonroof, Anthracite headliner, Dark Oak wood trim, LED Headlights and Fog lights, Power tailgate, Keyless entry with pushbutton start rear view camera, and more! Comes with both keys, Books and original window sticker! One owner! Non smokers SUV! Factory warranty! Carfax certified! Excellent condition! 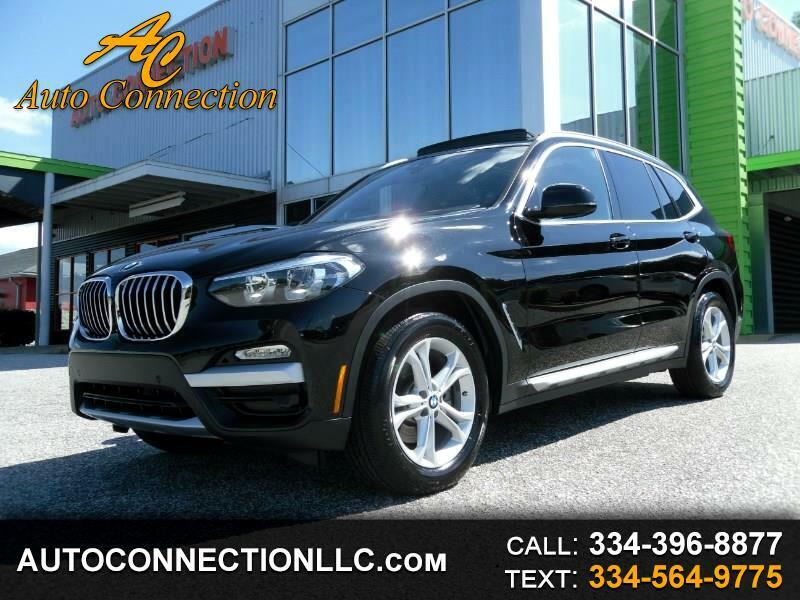 Message: Thought you might be interested in this 2019 BMW X3.